Find competitive quotes on outdoor advertising in Ann Arbor! 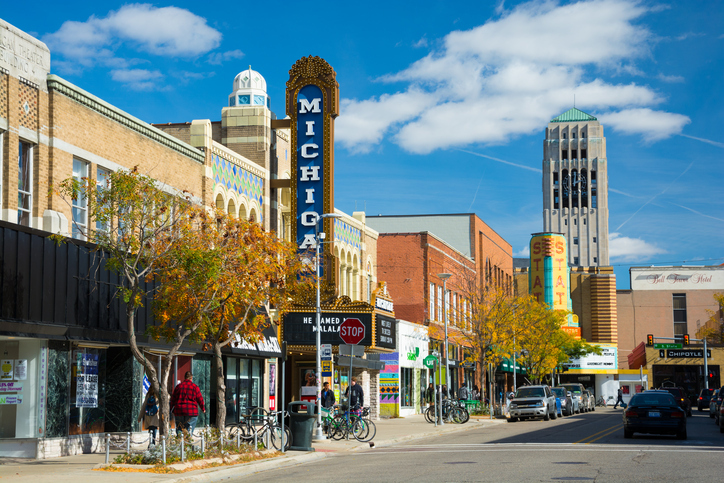 With a population of over 120,000, Ann Arbor is a prime location for outdoor advertising. Home to the University of Michigan, the city offers a great selection of billboards along I-94 and the busy US 23. Maximize campaign reach by advertising near the popular Briarwood Mall and family-friendly Ann Arbor Hands-On Museum. Whether you’re looking to target outdoor enthusiasts by the Nichols Arboretum or locals at Kerrytown Market & Shops, BillboardsIn will find a perfect selection for you to choose from. Select an ad format below to learn more. You can also get started by exploring BillboardsIn’s comprehensive database of outdoor advertising options.